Rated 4 out of 5 by denniann2 from get the evil woman there is a custom level. interactive map. this game is about "the others". there are light ones and dark ones. the dark ones want to imprison everyone and the light ones want to take the world back and restore it to normal. you and your brother are in this adventure together. he has had a "virus" implanted in him that causes his body to rebel against itself. and when it does you have to fix potions to help him, the evil woman captures the brother, jace, to unlock the special tree and will destroy him when he does that. as his sister you have to save him and release him from her clutches. Rated 4 out of 5 by dancemom1 from Nice SE... Hi all. Again I find that the SE is much better than the CE version (see CE review below). Playing a second time does help when you are on the fence about a game. Still do not feel it is CE worthy, but I am going to get the SE version for my collection. "Well, this one is a little different. Graphics were very nice and animation was good. Colors are very bright and clear. Game play was good, no problems at all during the demo. Music was soothing. Voice overs were pretty good, but I felt the "raven" should have sounded a bit more "magical." The voice didn't seem to fit the all seeing, all knowing bird. HOPs were done a little differently, in that in some, the characters actually participated...well done. They are very clean and quite simple and items are not difficult to find. Other HOPs are puzzles within a HOP. Nice. There is a jump map, which is okay. You don't do that much running back and forth, but it is helpful when needed. One odd thing I did see with the map is that when you needed to finish completing something in a scene, and looked at the map, it would say "impossible to use map at this time," rather than not show that there is something else to do elsewhere. Does that make sense? Hint system is also helpful, no transport that I have seen, but it seems a little slow on the refill. The only collectibles I found so far are raven silhouettes. There are 28 of them and they are not as easy to spot as you may think. The silhouettes are fairly light and blend pretty well into the scenery, so be on the lookout for them. The lack of something extra was a little disappointing. This wasn't a bad game, but I'm not sure it is CE worthy. It is quite simple and easy to follow. Looks like I might be odd man out on this one, but there wasn't enough challenge, nor was the story interesting enough to make me want to buy it now. I'm not sure a "seasoned" gamer would find this one worth the price, unless they just wanted something simple. I do that occasionally myself. For now I am going to put this one in my puddle and see what happens when I replay it as an SE. I sometimes change my mind and buy the SE." As always, try it for yourself and see what you think. We all have different tastes in games and you may find this one to be exactly what you are looking for. Thanks for the reviews. 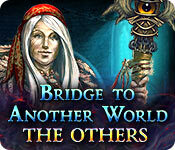 Rated 3 out of 5 by MaryM1980 from Not the best Bridge to Another World for sure! 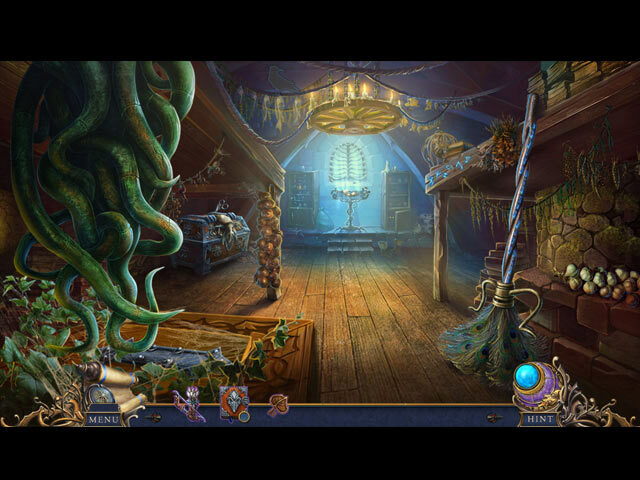 I was really excited to play this game because I had just finished paying Alice in Shadowland and loved it. Unfortunately, this game was a big let down. It was just boring, to put it bluntly. I found myself struggling just to finish it because the story and the gameplay were so dull. Nothing like Alice in Shadowland at all. I wish I had played the demo before purchasing because I definitely wouldn't have. Rated 3 out of 5 by Granny_Gruff from A Good Adventure For a Quiet Afternoon This "Bridge to Another World" game is a new world from the first original game and a welcome change. You and your adopted brother hunt beings known as "Others." You are together on a hunt when your brother enters an Other's portal to their world. You follow and your adventure begins. Fortunately the first Other you meet in this new world helps further you along the unknown road you must travel. Your mission is not clear from the demo, other than that you are following your brother, Jace. You "earn" a troll helper as you explore. (He will, thankfully, not be cute, just useful.) There are HOPs, mini-games, and lovely artwork just like many other games. I did not find the story overly compelling nor is game-play unusually attractive or innovative enough to make me need this game. But it is a nice game for a quiet afternoon. Be sure to check out the Demo for yourself. Rated 3 out of 5 by pamipets from Good for beginners I love fairy tales and fantasy genre, and I really wanted to like this game enough to buy it. It was just way too easy. 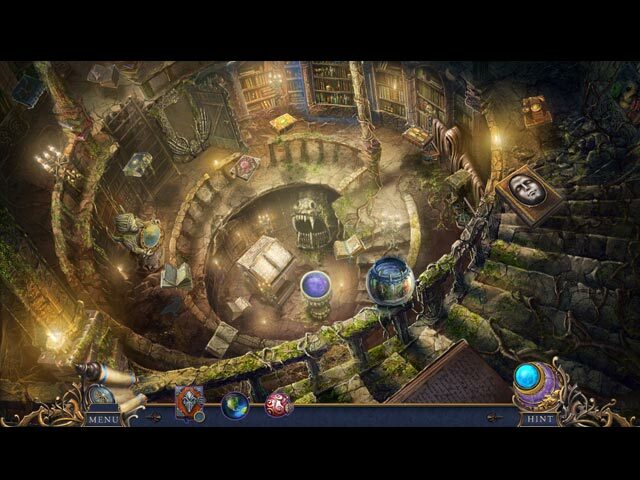 Still a lovely game if you don't mind cut scenes every 60 seconds, some even in the midst of a hidden object scene. Rated 1 out of 5 by gamer1006 from Boring The graphics are decent in this bridge game, however the story is choppy and completely lame. The game is super easy which is annoying. If you don't click on something your supposed to find within seconds it starts glowing. What's the point of a hidden find if it shows you what your supposed to do. I found that I was forcing myself to play a game I didn't even like. Rated 1 out of 5 by JeannieT_LFP from Why bother? I played the demo for about 45 minutes and thought the game was really slow moving with simple HOS, but I was out of new games to play, so I got it with the Daily Deal. I'm truly sorry I bothered. The game devolved into endless scenes that made little sense, the dialog was awful, the Dark One was ridiculous (with every trite manifestation of "evil"). There was no real challenge beyond trying to figure out game play that made no sense. This was not in any way enjoyable for me, and after wasting another hour to see if it got any better (it didn't), I quit the game and will never finish it. I've already deleted it from my GameManager. For me, this was the worst game I have played in a very long time. You may think differently, so try before you buy. 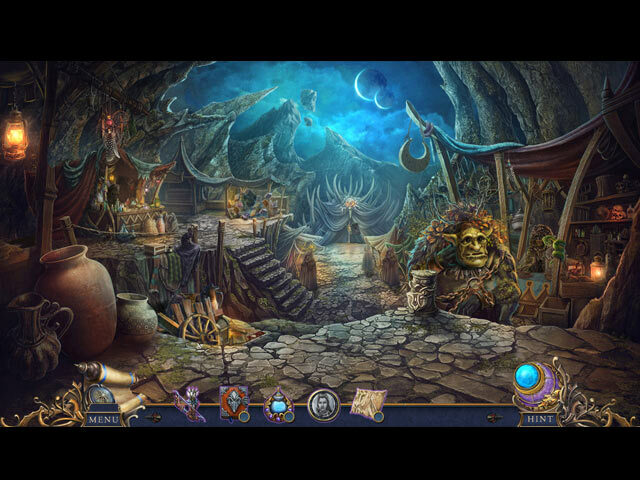 Rated 1 out of 5 by woodspinner from no redeeming qualities The graphics are cartoonish. I didn't care for that, but some will. The games were way too simple, no challenge at all. I gave up after 30 minutes because I was bored. The game also has a pet peeve of mine, illogical moves. You can't light a candle from a lit tobacco pipe and you also can't light a candle with a flint and steel. Maybe it's just me.